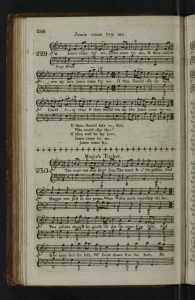 The air to this song is found in James Oswald’s Curious Scots Tunes, as well as other contemporaneous collections. 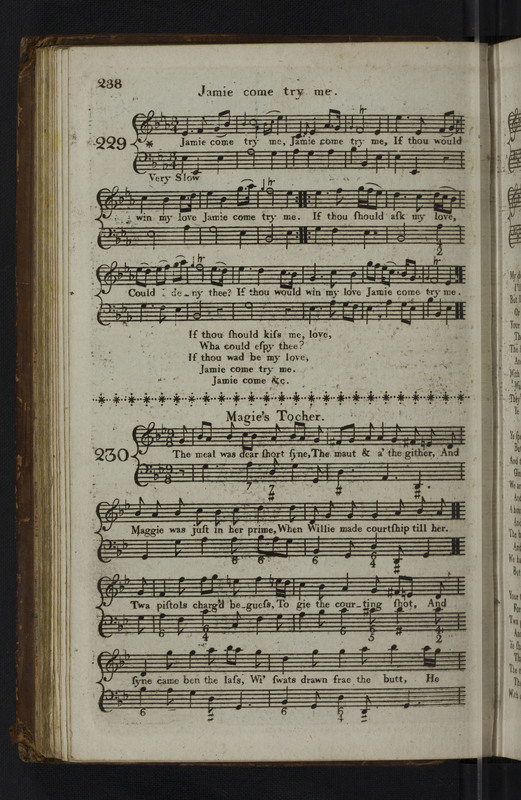 This tune is beautiful, but has a wide range and is tricky to sing as printed. 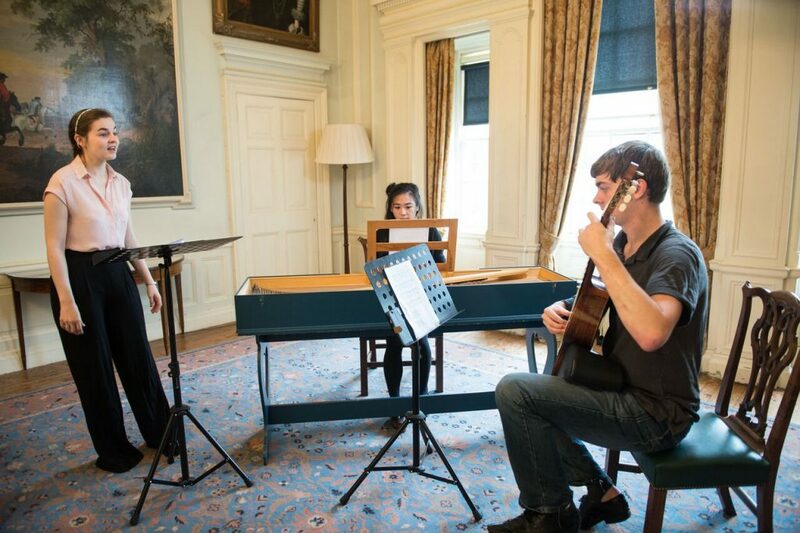 We felt this worked well with harpsichord joined by guitar. Gordon, our guitarist, had to decide exactly how he’d accompany the voice here, so the workshops helped him to improvise a new arrangement based on the printed bass line and melody in the Scots Musical Museum.